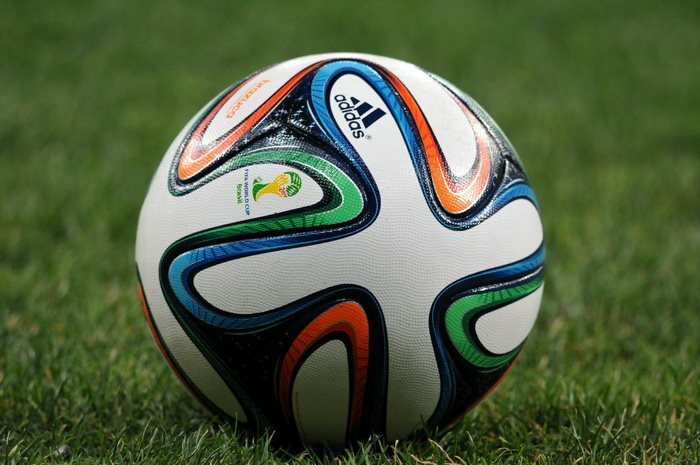 ← The Sports Archives – How do Sports Players Get Their Number? The Sports Archives – Equipment Used In Hockey! 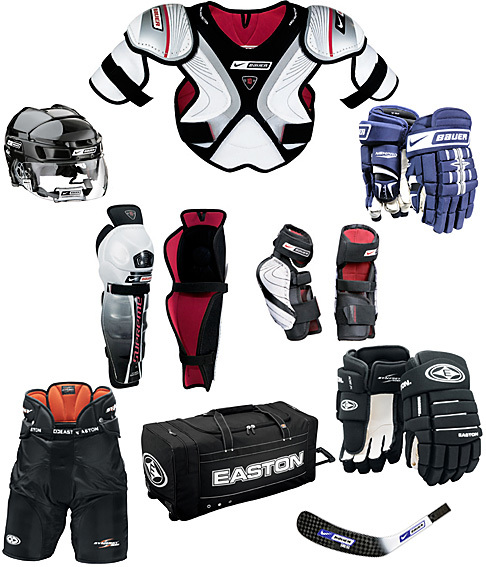 Hockey players use many different types of equipment, both to facilitate game play and to protect themselves. In this article you will find a list of all the equipment used in ice hockey with some brief details regarding their purpose in the game. Pucks in hockey serve the same purpose that a ball does in other games. They are small in size and are disc shaped. Pucks are commonly made from vulcanized rubber and it’s a common practice to freeze the pucks before a game, this is done to reduce bouncing. They are usually colored black to increase their visibility on a white ice surface. Sticks can be thought of as bats in relation to other games. An Ice hockey stick is used to maneuver and hit the puck. Sticks are made from a variety of materials including wood, aluminum, graphite, fiber glass and titanium. Which material’s stick to use is entirely a player’s own choice and preference. Hockey skates can be thought of as similar to figure skates, but they differ in design. Hockey skates have a rounded heal and no toe picks. Toe picks are absent because they can be dangerous in collisions and pile ups. In most of the skates, the blade is detachable and boots are made up of thick leather or nylon to provide protection to the player’s lower legs and feet. Helmets belong to the protective hockey equipment category. They are designed to avoid concussions and head injuries. The outer shell of the helmets is usually made from flexible but strong thermoplastics while the inner side is padded with vinyl nitrile foams in order to reduce shock. Shoulder pads are also protective hockey equipments and are the main defense against torso injuries. Shoulder pads are divided in to back and front panels and are closed with the help of a Velcro strap. They provide protection to entire torso including chest, ribs, spine and shoulders. Elbow pads are essential for all hockey players. They protect a player’s arms from bruises and fractures. Some custom elbow pads can provide protection up to triceps. Almost all of the elbow pads are adjustable and are secured in place with the help of Velcro straps. Blocker and catcher are hockey equipments used by goalies or goaltenders. A blocker is worn on the strong hand of a goalie or on the hand with which he holds his stick. A catcher, also known as trapper is worn on the weaker hand. A blocker is basically a glove with a rectangular pad; this pad is often designed with a curve which is helpful in controlling the puck’s deflection while defending a goal. A catcher is like a baseball glove used to catch a puck, but a hockey catcher is provided with a pocket. All goalies try to catch the puck in this pocket; it reduces the discomfort and chances of injury from catching a puck travelling at a very high-speed. Matthew Anton is a NHL player and is one of the many celebrated players. He is a very strong proponent of the proper use of protective hockey equipments while playing. This entry was posted in Hockey and tagged elbow pads, freeze pucks, goalie blocker, goalie catcher, goalie mitt, hockey equipment, hockey helmets, hockey skates, hockey sticks, hockey tips, ice hockey gear, learn to play hockey, protective equipment, shoulder pads, stick types. Bookmark the permalink. 1 Response to The Sports Archives – Equipment Used In Hockey!